From Saint Petersburg to Paris, the Korloff saga has always been closely entwined with the history of the biggest black diamond in the world – the Korloff Noir. This gem, weighing in at an exceptional 88 carats was, for several generations, the prized possession of the Korloff Sapojnikoff family, part of the Russian nobility. The legend suggests that it brings happiness, good luck and prosperity to all those coming into contact with it. Bewitched by this awesome stone and its mysterious past, Daniel Paillasseur founded a company in 1978 that was to bear its name. 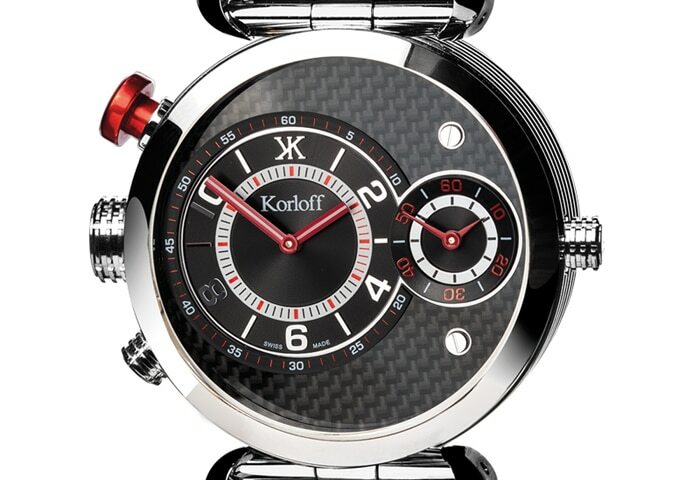 Today, the “Korloff Noir” is part of his heritage and is the very soul and talismanic symbol of that company. Master jewelers work on the creation and manufacture of jeweler in the Korloff workshops in Lyon, the home town of the company. Korloff chooses its gems according to very thorough selection procedures pinpointing quality and colour, where each jewel is exclusively manufactured in 18 carat gold and stamped with the talismanic back-to-back K signature a guarantee of authenticity. As a precursor in this field, Korloff introduced mother- of-pearl and then coloured lacquers into its creation by applying a qualification procedure and applying perfect knowledge of the behavior of the materials used. Today, Korloff the most beautiful coloured lacquers in the world.